USA (MNN) – It’s Black Friday, one of the biggest shopping days of the year. And as you scour the stores for the perfect gift for a kid in your life, consider checking out the Keys for Kids Creature Feature Storyteller. “They’re MP3 solar-powered devices that not only have all of God’s word on it in a dramatized form, but it also has a number of the 360 Keys for Kids stories on it,” Keys for Kids’ Greg Yoder shares. Keys for Kids’ desire is to ignite a passion in kids for Christ. These Creature Feature Storytellers are helping the organization do just that. 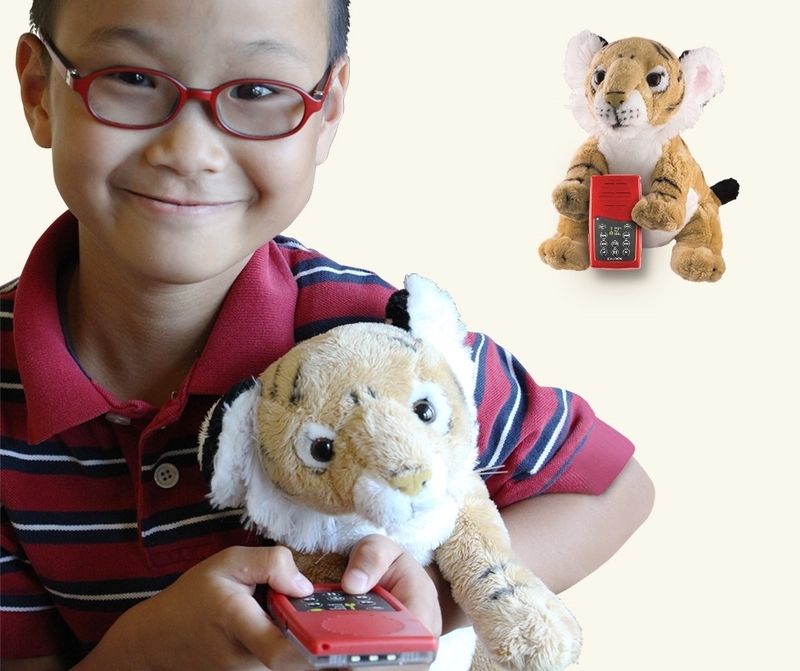 The MP3 storyteller devices fit inside a stuffed animal. The stuffed animal choices include an elephant, lion, or tiger. And, each Creature Feature Storyteller has a solar-powered light. 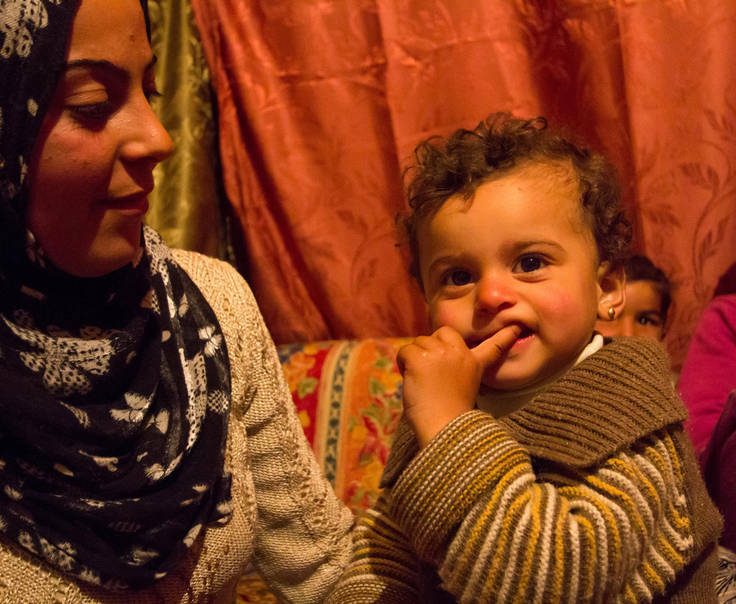 Kids can use this light to read and even help their families when the situation calls for it. 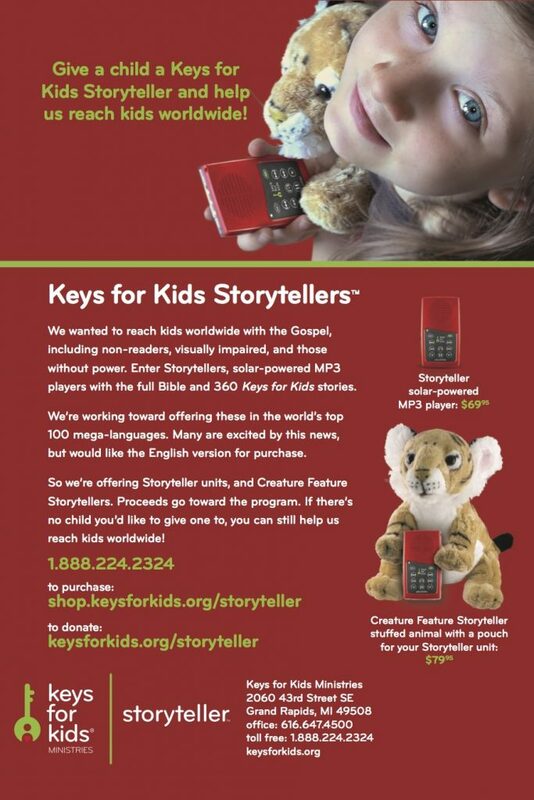 Plus, once the Creature Feature Storyteller is charged, it provides 30 hours of the Keys for Kids devotional stories. The storytellers have the complete dramatized audio Bible as well. The storyteller device weighs in at 2.4 ounces and is smaller than the typical iPhone. And to make sure that kids stay safe, these devices are unable to access the internet. The storytellers are priced so a portion of the proceeds supports continued efforts to share the Gospel with kids globally. This means when a Creature Feature Storyteller is purchased in the United States, the Gospel isn’t just getting into the hands of a kid in your life, but also a kid in another country. And since these Creature Feature Storytellers don’t require kids to read, they’re a great gift for a young or illiterate child. However, if you want to help Keys for Kids without having to buy a Creature Feature Storyteller, no problem. Keys for Kids is also taking donations for the storyteller project and gifts of all amounts are welcomed. And please, pray for the Creature Feature Storyteller’s impact on kids’ lives. Pray for Christ to move in the hearts of the kids who receive this special toy, and for it to impact families as well. Also, pray for the proper funding for Keys for Kids to continue giving these Creature Feature Storytellers to children everywhere. And finally, pray for the protection of the translators working on this project and for Christians globally to become passionate about this project. Buy a Creature Feature Storyteller here! To donate to provide a Creature Feature Storyteller to a kid, click here! Pray for this storyteller’s impact and for Christ to move in the hearts of kids with this special toy. Buy a Creature Feature Storyteller for a kid in your life! Donate to give a Creature Feature Storyteller to kid across the globe.